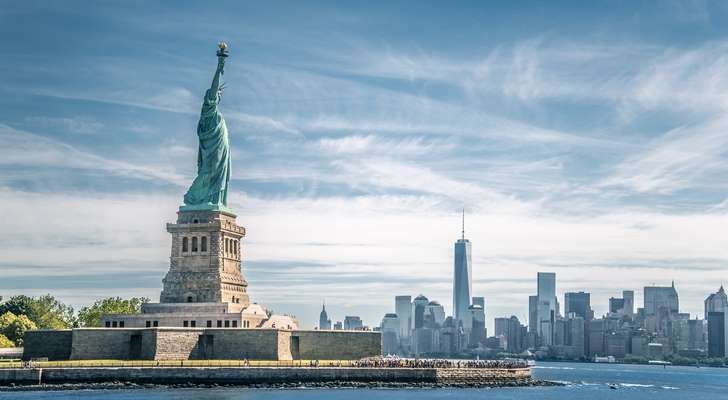 Liberty Island has been evacuated after two separate incidences occurred at the iconic Statue of Liberty in New York City on Independence Day. [post_ads]The evacuation occurred after a woman was spotted trying to climb the Statue of Liberty around 3 p.m. on Wednesday. The woman climbed as high as the statue’s mid-section, according to US Park Police public information officer Sgt. Dave Somm, in speaking with NBC 4 News. Police were called to the scene and the island is being evacuated as a precaution. The incident follows an earlier protest by a group identified as Rise and Resist NYC, who unfurled a banner reading “Abolish I.C.E.” at the statue. At least seven people from that incident have been arrested. The group denied any affiliation with the person climbing the statue. This story is breaking and will be updated as new information emerges.